So its now Night 1. This means all players have 23 hours to decide what they want to do (we had a 1 hour resolution period where no one could post). Normally I would start the Blog with a daypost, but because of the unique...nature of night 1, Im covering it all by itself. Yay. Night 1: 29 Players remain. 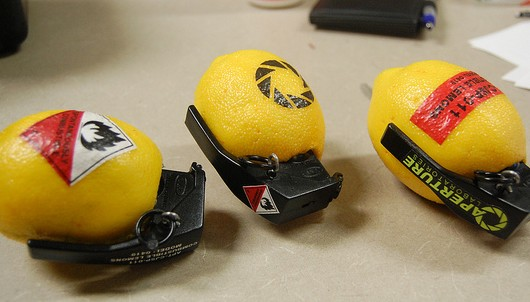 The Night began with Gracaroni (Cave Johnson) Requesting people give him lemons. Lemons were put into the game just for Grackaroni, And had to change hands every night. Grack could turn lemons into combustable lemons, and burn down peoples houses with them. But they had to charge for a night. Like solar beam. The other super important thing is the information Velinath revealed to the town. If you recall Velinath was elected Wheatly on day 1. Wheatly was given money and access to the black market. Velinath Revealed all of this to the town, and kept tabs on things being bought for everyone. Not too much else was discussed other than typical Nighttime things. And then this monster hit. 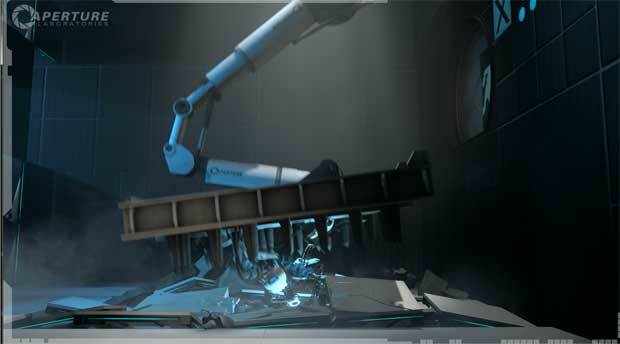 GLaDOS: "Oh dear, there seem to be some of you missing. Apparently some panels were malfunctioning last night, so i just had them all destroyed with crushers. There did seem to be some test subjects underneath however, so I did not manage to destroy all of the faulty plates. Oh well, I'll have to come back to that later. Now its time to test." Gonzaw was CAST SCREAMING INTO THE RIIIIIIIIIIIIIIIIIIIIIFT! Blazinghand was drowned in a sea of madness! RayzorFlash was burned to death! Cwave was burned to death! Cyber_Cheese was burned to death! Foolishness was sent to android hell! A Security Camera Was invented! The Rift has reached stage 2 Destabilization! Now a few things to note about this daypost. And the Rift reached stage 2 destabilization. Quite Fun if you ask me. Among these deaths there were actually 2 mafia members, and some very powerful town roles. If you want the exact roles consult the Spreadsheet. So what exactly happened night 1? Blazinghand Was the poor victim of Dirk Hardpec, Who could choose to sacrifice one of his mind slaves at any time for an extra life once per game. 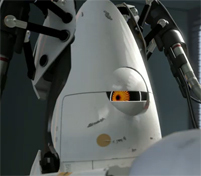 Foolishness was shot by the Aperture Science Military Android. His no flip was actually supposed to happen anyway due to his role. Don't worry, he'll be back. And Gonzaw was killed by another mafia KP, but there is more to the story. You see a very unstable role was added to the town, known as Kanti, Lord of the Black Flame owned by Kitaman27. Kita could target a player each night to set on fire. Anyone who visited that player would instantly die, and the player on fire would die the next night. Lets look at all the actions on Gonzaw shall we? Rayzorflash (KALTHAZAR, LORD OF THE DIMENSIONAL RIIIIIIIIIIIIIIIIIIFT!!! ), Send in a kill on him. Cyber Cheese ( 3rd Party Planar Dragon)Also Sent in a kill. They really wanted him dead. And poor cwave was just checking Gonzaw with a portal gun to see what items he was holding. Oh yea, And Kitaman27 targeted Gonzaw with his ability. So 6 deaths, thats quite a few. But It would have been ok if town at least got some information out of it. Sadly though, A member of the sleeper cell, blubbdavid, Was a Janitor. He can use his power once per game to hide all the flips and receive them all via PM. Night 1 is usually the best time to use this ability, as more roles are alive at that point in the game than any other with killing power. Night 1 was basically the perfect storm. An interesting flip. Saw the Gonzaw one coming a mile away. I think it's safe to assume at this point that Kanti has the stabilizer whatever. Velinath, were you the one to get the security camera? What's it do? Also, I thought there was supposed to be "full role reveal on death" ie no flip. Hosts, is this actually a no flip game? Also, can we update the OP with the correct time? Have their been flips this game? Anyways Day 2 has begun, and town are a bit worse for wear. Fortunatly all of the other factions are in a pretty bad position as well, so no sweat. Thanks for reading this sorter part. I'm going to shift into covering an entire cycle per part in the future. Let me know if there is anything more you want to see! One thing that confused town was the fact that Rayzorflash, Cyber_Cheese and Cwave were right next to each other in the playerlist (positions 21 to 23). At that point noone knew anything about the ignite stuff, so it was speculated that only one of the three was targeted and the other two were collateral damage because they were the targets neighbor in the player list. It took the death of Dirk Hardpec to realize that this was wrong. Also following Drazerks posts, it was assumed that all 4 beings of great power were third party. As it turned out, that was not true, Drazerk was the only one while the other three were part of town or mafia. Again, most people only found that out once kitaman27 died, as the other 2 great beings were killed in N1, but did not flip. Thanks for doing the post game writeup. Very cool to hear your thoughts and get a quick recap of the game. prior to Gonzaw's claim, Foolishness was going to burn. I wonder how different the game would have played out with a different pair of kills.